February | 2015 | Mike Lamberti, From Margate To Cleveland, And Back ! Having done my share of writing for nearly 40 years, I will admit there are a few stories that resonate for a lifetime. When it comes to high school wrestling, there is, by far, one which stands out. It happened 14 years ago and comes to mind specifically this weekend, as the Region 4 championships are once again contested in Northern New Jersey. To set the stage for this story, I’ll throw in a little ‘Honeymooners’ analogy. Do you remember the episode when Ralph Kramden thought Alice might be stepping out on him, and was planning a strategy with his pal, Norton, to catch her in the act? Ralph’s classic line was, ‘Oh, I’m going bowling, Norton. But I’m NOT going bowling’. Norton was clearly befuddled. Confused? Okay. But after reading this story, you’ll learn a little more about determination, some incredibly good luck and a bit of fate that not only won Dubuque a second state title, but quite possibly changed his life’s direction. Enjoy. Long after the final whistle sounded, and the cheering ended on a wrestling mat in North Jersey, three friends remain tied to each other, in part due to a weekend 14 years ago that will forever bond them. This is the story of Joe Dubuque, Anthony Montes and Anthony Messina, wrestlers from neighboring Essex County high schools in Glen Ridge, Nutley and Bloomfield, respectively, who formed a triangle at Passaic Valley High in Little Falls, which has transcended time. It’s what makes high school wrestling, and its subsequent competition, so special. And while the friendship amongst the three had begun long before a fateful weekend in March of 2001, what occurred over a seven day period 14 years ago has forever changed their lives. It’s a story of courage, raw emotion and the ultimate victory which would alter Dubuque’s life and strengthen a friendship already cemented in respect. In 2001, Dubuque was a senior at Glen Ridge, having won a NJSIAA championship at 112 pounds a year earlier. He was rolling through his senior year at 119 pounds, undefeated, and for that matter, unstoppable. Dubuque had won his fourth straight Essex County Tournament championship earlier in the 2000-2001 season, and had just turned in a dominant effort at District 13, for his fourth straight title there. Even in elementary school, Dubuque was a wrestling fanatic. His idol growing up was Belleville High’s Anthony Conte, a 1996 state champion and Belleville’s lone four-time NJSIAA medalist, to date. 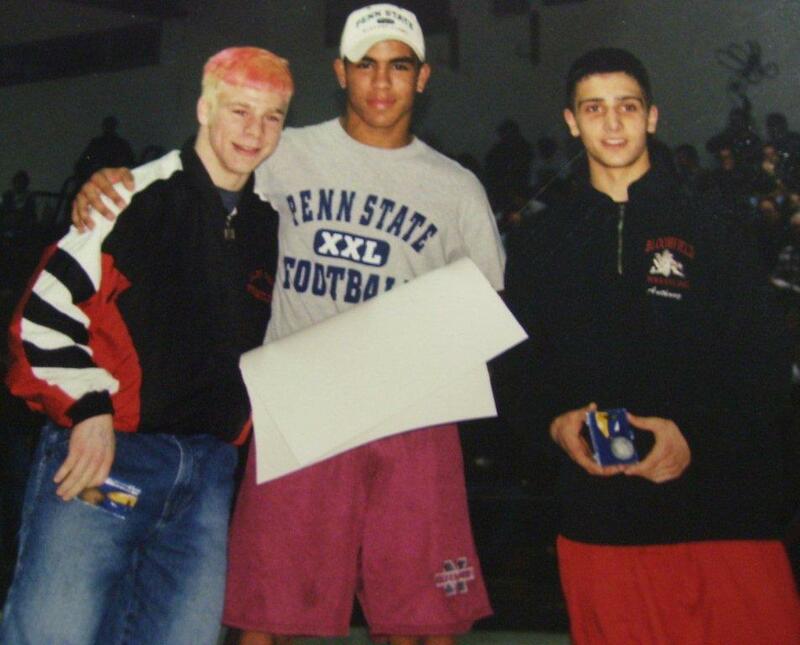 Anthony Montes (center) with Joe Dubuque (left) and Anthony Messina following the Region 4 championships on March 3, 2001. On Friday, March 2, 2001, Dubuque won his Region 4 quarterfinal at Passaic Valley. Already a three-time region champion, he was scheduled to wrestle Messina, then a sophomore who was just beginning to gain credibility in the sport, the following morning in a semifinal. Dubuque was also excited about having just set a new state record for takedowns in a season, eclipsing the mark of 204 by perhaps the best high school wrestler, ever, in New Jersey, Damian Hahn of Lakewood. The two stepped on the mat around 9:15 a.m. on March 3. Messina planned to be aggressive and see if he could gain some momentum. Dubuque was a devastating wrestler on his feet and would often shoot toward opponents’ legs to gain leverage. As Dubuque moved in, his head collided with Messina’s forehead and Dubuque crumpled to the mat, losing consciousness for about 20 seconds. Messina, admittedly confused by what was happening, suddenly had his hand raised in victory, marking Dubuque’s first loss of the season. With Dubuque off to a doctor, the buzz around Passaic Valley was deafening. I remember calling my editor at the Star-Ledger, Bruce Moran, seconds after the injury to inform him that Dubuque might be out of the tournament. Moran had already set up ‘art’ as we called it, meaning Joe would be featured on the front page of the special supplement, leading up to the NJSIAA championships the following week at the Meadowlands Arena. Dubuque left Passaic Valley quickly, hoping to get a doctor’s clearance to continue wrestling. Having lost, he would need to wrestle back for third place if he any hope of winning a second consecutive state championship. His first wrestleback would be 90 minutes after his loss to Messina, so time was critical. Dubuque’s older brother, John, hurried Joe to an Immedi Center-type facility to get a clearance, which was obtained. Dubuque returned to the gym in time to face Angel LaPorte of Kearny in the first of two wrestlebacks he would need to win to clinch third place. Montes, then a junior who had won the other 119-pound semifinal, remembers well watching Dubuque try and wrestle LaPorte. Dubuque’s eyes were red and he appeared to wobble at times when standing up. But somehow, he caught LaPorte, who in his wildest dreams never thought Dubuque would be in a wrestleback, for a pin in the third period. What probably saved Dubuque’s season that day was referee Joe Luongo, a seasoned wrestling official who was keeping a close eye on him. “When you’re officiating at that level, you have to know the kid,” Luongo said. “I had worked enough of Joey’s matches to realize he could wrestle his way through it. I handled him with kid gloves that day, but also knew how tough Joey was. I had to give him the opportunity and didn’t want to stop it, especially after he was cleared to go. This is a once-in-a-lifetime situation for a kid. You don’t want to stop it and the kid turns out to be okay. After defeatimg LaPorte, Dubuque had another hour to try and recoup before he faced Lou Rabelo of North Bergen for third place. Only the top three wrestlers from each weight class advance to the state championships, so there was just one way for Dubuque to qualify. The extra hour seemed to do him some good. His eyes were much clearer and he seemed more focused. Dubuque put on a typical take down show against Rabelo, building up a big lead before registering a fall to clinch third place. As the day’s events at Region 4 were concluding, Dubuque received a thunderous standing ovation from the crowd of nearly 2,000 at Passaic Valley. Dubuque was somewhat overwhelmed by all the attention. He even garnered some votes as the tournament’s outstanding wrestler, which was unheard of for someone who finished third. The injury affected other wrestlers in different weight classes at the region. Pat Trabucco of Livingston, an eventual four-time Essex County, District 14 and Region 4 champion, as well as a four-time NJSIAA medalist, was noticeably down after winning his fourth region title. Trabucco, who was head wrestling coach at his alma mater through the 2010-2011 season, also recalled the day Dubuque was injured with a vivid memory. There were two newsworthy events going on at Passaic Valley that afternoon. One was Dubuque’s injury and the other was a massive snowstorm which was supposed to hit the local area. The predictions were for more than two feet of snow for early the following week, with 40 mile-per-hour winds that could produce five foot drifts. (If you knew then Passaic Valley coach Nick Zarra, he gave the best description of the storm, with that raspy voice). On spec, the NJSIAA pushed the next round of wrestling, then called the super regions, back a day to March 7, in deference to the storm. Because Dubuque finished third in the region, he would need to win his first match at the super regions to assure himself a trip to Continental Airlines Arena in the Meadowlands that weekend for the state championships, then win a second time that evening to assure himself a chance at winning a second state title. The aforementioned snowstorm never occurred. But the extra day off for the super regions would help Dubuque’s recovery. This is also where the friendship between Montes and Dubuque took another turn. Dubuque and Montes had hoped to wrestle each other in a state championship final in 2001. A year earlier, Montes had made it to the 112-pound semifinals before losing and eventually finishing sixth in the state. Dubuque, who was wrestling in the other semifinal that year, went on to win the state championship at the Meadowlands. Montes didn’t forfeit the Region 4 final. He defeated Messina, 13-8, for the 119-pound title. But that meant he would most likely face Dubuque in the super regions at Union High School, assuming Dubuque defeated Roselle Park’s Dan Appello in the preliminary round earlier that evening. Nor, would the large crowd in attendance that evening at the super regions. Dubuque won his first round match over Appello, ending Appello’s season and setting the stage for his match with Montes later that night. Both guys were assured of a trip to the Meadowlands, but the victor would be advancing to the winner’s bracket. Dubuque, who was back in good health, won a 7-5 decision. As the final seconds ticked off the clock, the two embraced and Dubuque raised Montes’ hand in victory, even though Dubuque had won. Many in the crowd had tears in their eyes. The standing ovation lasted at least two minutes. Dubuque would later say, and continues to reiterate today, that there was no loser in that match. Now at the Meadowlands, Dubuque would not be stopped. On March 10, he won by technical fall in a bout that lasted just four minutes. The following day, he started with a 15-5 victory in the semis, setting the stage for the state final opposite Matt Anderson of South Plainfield, himself a state champion in 2000 at 103 pounds. Dubuque would wrestle a vintage match in the finals, recording four take downs en route to an 11-5 victory. As the final horn sounded before nearly 14,000 fans that day, Dubuque broke down and cried. Dubuque called Anderson the nicest person he had ever met in the post-match press conference. He thanked his family and friends for their love and support. He would stand on the top deck of the podium that afternoon, and Montes would stand on the podium as well, having finished seventh in the state at 119 pounds. That second title meant so much more to Dubuque in the subsequent weeks. Dubuque received a scholarship to wrestle at the Indiana University. In 2005 and 2006, he would win a pair of NCAA championships. Phillips admits to this day that he’s still not sure he did the right thing in allowing Dubuque to continue wrestling at the regions back on March 3, 2001. Messina, whose season ended at the super regions in 2001, also wouldn’t trade the experience of that weekend. Montes would go on to earn a third state medal in 2002 and later was a successful assistant wrestling coach at Nutley High, working with DiPiano. Dubuque won his second state title on March 11, 2001. Many will recall what happened six months to the day later as a timeline in their own lives. And thus, the legend of Dubuque Saturday, March 3, 2001. I’ll never forget it. It was Nov. 5, 1977, a Saturday afternoon, and I’m covering a high school football game, at Belleville High, between Seton Hall Prep and the-then Bellboys. Belleville had a new coach that year in John Senesky, and after an 0-4 start, the Bellboys had won two straight, defeating Irvington, 17-14, and Essex Catholic, 26-18. The team was gaining some confidence, but Seton Hall Prep would be a tall order. The Pony Pirates of ’77 were a loaded football team. Its defense was magnificent, led by a senior linebacker named Chet Parlavecchio. After winning its first five games of that 1977 season in dominant fashion, Seton Hall ended up in a scoreless tie in week six against Paterson Kennedy. No one expected that, and the Prep was certainly surly heading to Belleville for week seven. Before the game even kicked off, Belleville assistant coach Joe D’Ambola informed the game officials that Joe Aulisi, a stud player at the Prep, wasn’t wearing the required hip pad. The official concurred and before the National Anthem was even played, the Prep had been tagged with a 15-yard penalty. D’Ambola’s action infuriated the Prep players, who decided to take its revenge on the field. Early on, it was obvious Seton Hall was a way better team. The Pony Pirates would lead, 42-0, at halftime and went on to a 63-0 victory. I remember Parlavecchio, on one play, yelling over to the sideline, ‘it’s going to be like rainfall, Boys.’ And I remember thinking I couldn’t stand that guy, no matter how good he was as a football player. Parlavecchio would actually score a defensive touchdown in the game and admitted he threw up in the end zone. Seton Hall Prep would end up 10-0-1 that season. I’ve often said that the 1977 high school football season in New Jersey was one of the best ever. Westfield and Barringer would play an epic playoff game at Giants Stadium in December, before over 40,000 fans, and many would counter that perhaps Seton Hall Prep was the best team in the state that year. Years later, when Chet ‘The Jet’ became a high school football coach at Bloomfield High, after a stellar playing career at Penn State and in the NFL, he and I would kid often about that game in 1977. It’s that commitment to excellence which has made Parlavecchio (today a very good friend to me), the outstanding coach he has become. He is now returning to Passaic Valley High for his second tenure as head coach. He’s also been a head coach at Bloomfield, Irvington, Clifton and Elizabeth, as well as a stint as a college coach at Temple University and three years as an NFL assistant coach. He helped turn Bloomfield from a team that hadn’t won a game in nearly five years into a playoff team two years after taking over. Chet’s pride and joy, his wife and two children. Lorenzo Sozio, today the highly successful athletic director at Mount St. Dominic Academy, was the quarterback the day Bloomfield snapped that losing skein in 1988, against Paramus Catholic. Parlavecchio remembers every game he’s ever coached, whether it be a win, loss, or tie. I often kid Chet that while Seton Hall Prep may have beaten Belleville that day in ’77, 63-0, two years later, the Prep came back to Belleville and the Buccaneers won a thriller, 14-13. A year after that, the Bucs went to Seton Hall and dominated, 34-8. While we’re not kids anymore, Chet and I appreciate those days. He’s a husband and father today, and speaks volumes of the successes his children, Nicole and Chet Jr. are having as young adults in the professional world of teaching and coaching. And now, he’ll be roaming the sidelines at PV again, wearing that Green and White, and trying his best to get a group of young men to play football the way he sees fit. It’s going to be fun, make no mistake about that. The District 14 wrestling championships were held last Saturday at Livingston High School. 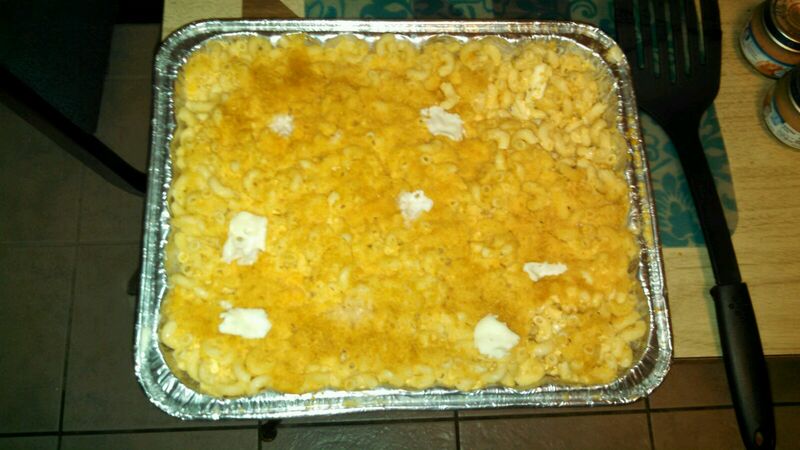 Besides the usual good wrestling and fun in catching up with some old friends like Bob Keenan and the various coaches, there was the pan of macaroni and cheese prepared by my good friend, Michele Florio-Campisi. For years, Michele’s mac and cheese was a regular on the menu at District 14. However, with some changes in the way food is prepared, the M & C lost a spot in the starting lineup. But for the past few years, Michele has made it a point of preparing a tray for me to bring home. There are traditions you never want to see end, when it comes to covering various sporting events. 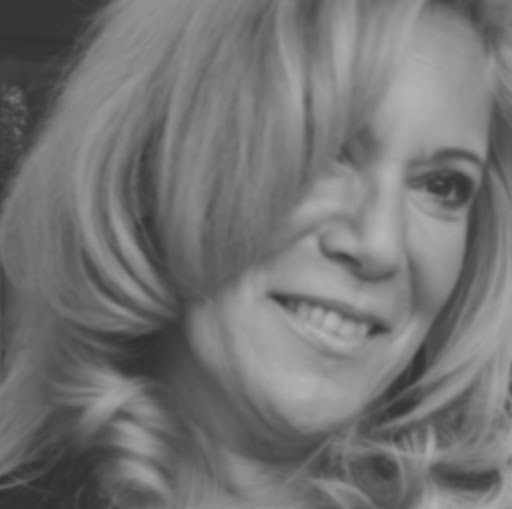 Over the past year, Michele and I have enjoyed a nice friendship on social media. We’ve kept up with each other’s comings and goings, the happiness and occasional heartbreak. And through it all, she’s made the third weekend in February something special at Livingston High. I’ve already eaten most of this, and am already looking forward to the next tray in 2016. Thanks so much, Michele ! Bloomfield High athletic director Steve Jenkins made official in an E-mail what most of us have known for a long time. Bob Mayer, Bloomfield’s long-time softball coach, as well as that school’s girls’ soccer coach for many years, will be inducted into the New Jersey Scholastic Coaches Association Hall of Fame. Officially, Mayer will receive said induction on March 29, at the Pines Manor, in Edison. Unofficially, anyone who knows Bob gets the fact that he’s represented all that is right with high school athletics for a generation, maybe longer. So, in the minds of most who count, Bob Mayer could have been signing ‘HOF’ next to his name long before the Scholastic Coaches verified it. Mayer is not only one of the best coaches to come out of Bloomfield High (and that’s saying a lot, considering the Bengals’ history), but he’s also a BHS graduate and an educator in the school system. He’s devoted his entire life to the community and is as humble as they get. When he won his 400th career game as Bloomfield’s softball coach in 2008, he preferred to thank the Town of Bloomfield for its support. One in a myriad of successful Bloomfield teams, coached by (now) Hall of Famer, Bob Mayer. When his team won the 1999 Essex County championship in softball, Mayer insisted the Bengals wait to take its traditional victory lap around the bases until the opposing ball club had boarded its bus and departed Pulaski Park, so that it didn’t appear to be disrespectful. 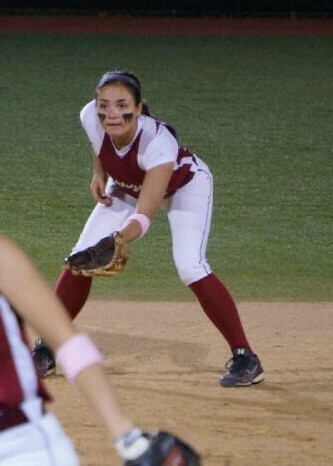 Among the outstanding players Mayer coached was Jenna Orlando, now a standout at Lafayette College. He is often called “Mr. Mayer” by Mount St. Dominic softball coach and athletic director, Lorenzo Sozio, because Lorenzo, himself a BHS grad, knew Bob first as a teacher. When Mayer’s teams lost a close game, he never ducked a reporter, or issued the ‘no comment’ answer that some may do. For Mayer, softball is a year-long passion. He still speaks reverently of those who once played for him and can probably tell you how that young lady is doing today, in life. Mayer spends most of his summer coaching Bloomfield in an Essex County league, that he helps coordinate. He’s at every game, hitting infield with the kids, and then coaching with a fevered passion when most feel that it’s just a summer game. Bob Mayer has garnered a great deal of respect from his peers, as well. The competition in the Super Essex Conference, and before that, the NNJIL, brings out the best in diligent coaches and talented players, and Mayer’s teams have always risen to that challenge. Sozio was also thrilled for his friend and colleague. “Coach Mayer being inducted into the NJ Scholastic Coaches Hall of Fame does not come as a surprise to me,” said Sozio. “He has been a fixture on the diamond at Bloomfield High for many years. When you talk Essex County Softball, Coach Mayer’s name and the tradition at Bloomfield have to be part of the conversation with all the success he has had. Mount St. Dominic Academy (MSDA) has had some great contests over the years with Bloomfield in conference play, as well as Essex County Tournament play. He is one of the hardest working coaches on and off the field that I have seen in Essex County. “When Bloomfield High is not practicing or playing, you can be sure Coach Mayer is taking in a high school softball game somewhere in the area. Belleville coach Chris Cantarella has coached against Mayer for 15 years, first as an assistant coach, then as head coach, since 2006. 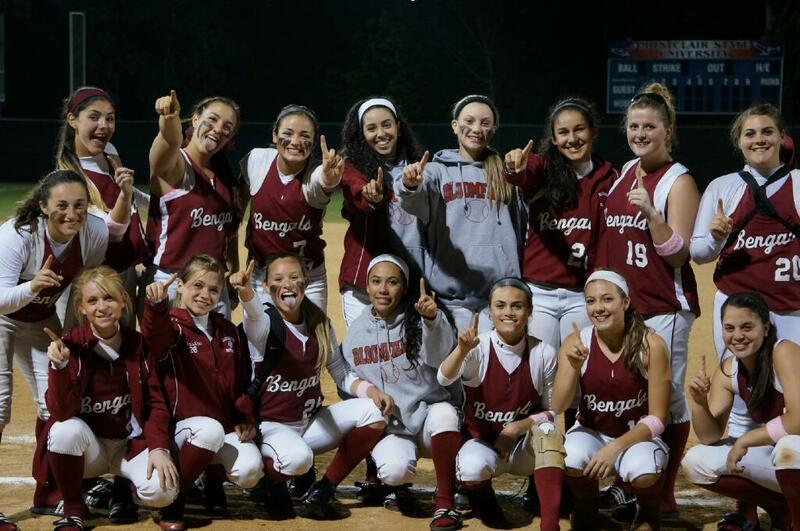 Mayer has led Bloomfield to multiple Essex County softball championships, including back-to-back titles in 1999 and 2000. He’s also won multiple state sectional crowns and has coached countless All-Conference, All-County and All-State players. He prefers to talk about his athletes, rather than himself. Sometime in the 2015 season, Mayer will most likely reach the 500 victory plateau for his career, a rare accomplishment in New Jersey. (He’s 12 wins shy going into the season). When he does reach 500, he’ll be just the third coach in Essex County history to reach 500, joining Carl Corino of Belleville and Caldwell’s Mike Teshkoyan, who won his 600th game late last season. “Congratulations to Coach Bob Mayer on his induction to the Hall of Fame,” said Teshkoyan. “It is quite an honor for him and his program. I have always enjoyed playing against his teams, they fight hard, can hit like heck and are well-coached. He’s a great competitor, and has been a credit to Essex County Softball for all these years. And now, Mayer’s work will be recognized on the state level, on March 29. Congratulations, Mr. Mayer….Great job, and thanks for being the man you are. It makes this honor even more noteworthy.